With our M4 done and dusted, at least for the moment, we’ve been eagerly wondering what should be following suit in the garage – our 2019 build so to speak. The 80’s and 90’s were an awesome time for design, and as young enthusiasts we were exposed to a plethora of beautiful cars. Those cars became our desires, our dreams, taking pride of place on our bedroom walls and in the magazines we read. The cars that fed our passion, F40, Diablo, Supra, Skyline, fuelling our minds for our future aspirations in one way or another. Obviously certain cars resonate differently between differing crowds, but some we’re loved and appreciated throughout. And our new project sits nicely within the latter, at least we think so. Allow us to introduce our new race car, the glorious Honda NSX. Just don’t look at the wheels. Some will see it as a return to our roots, but realistically this is something we’ve only dreamed of. To give an understanding of quite how special the NSX is we’re going to have a little history lesson. 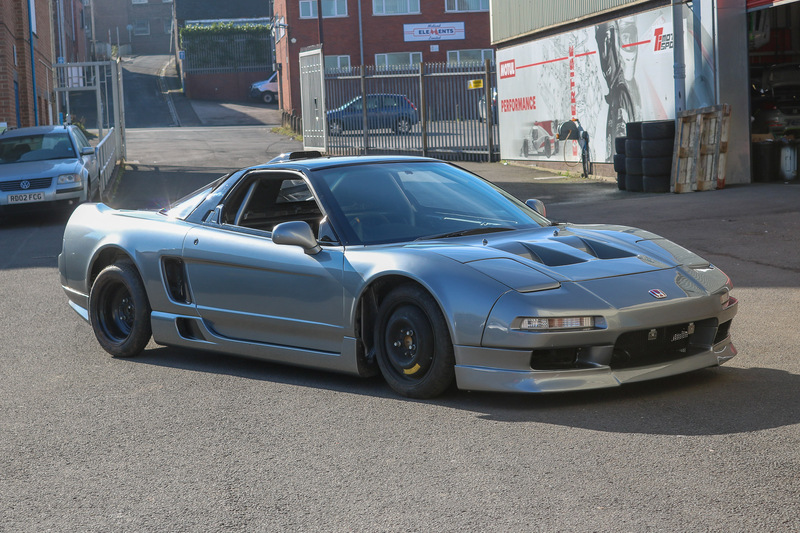 1989 saw the debut of the NSX, a sleek, mid-engined, Pinifarina designed supercar – released with the intention to put a sizeable JDM dent into the European sports car market. The concept stemmed from the ’84, again Pinifarina designed, HP-X. In the time between a huge amount of development went into the car codenamed NS-X (New Sports Unknown World), perhaps most notably the late, great Ayrton Senna was drafted to develop the chassis. Senna then addressed suspension and handling on the prototypes, the changes carried through to the final product. These prototypes were tested extensively on the famous Suzuka circuit, but also saw use around the world at circuits like the Nürburgring. The newly dubbed NSX (losing the dash) went on sale in 1990, featuring a fully aluminium body, a drastic first in the production car realm. But it saved weight with certain suspension components, as well as engine parts – eventually bringing the total curb weight to around 1370KG. Lets put that in perspective for a moment, at the time the cars competitors such as the Ferrari 348 was at 1500KG while the Porsche 911 964 barely shaved the that at 1470KG. This pokey Honda came out of nowhere and became a strong contender in the midst of a very European dominated European market. Small changes came to the marque over its 15 year production cycle, bigger engines, targa variations, and an even further stripped -R. But like all good things it must come to an end, shutting the doors to its dedicated Takanezawa R&D plant in 2004, seeing its final year of production at Honda’s Suzuka plant. A return home if you will. If you’d like a more thorough run-down the guys at Donut Media have you covered. 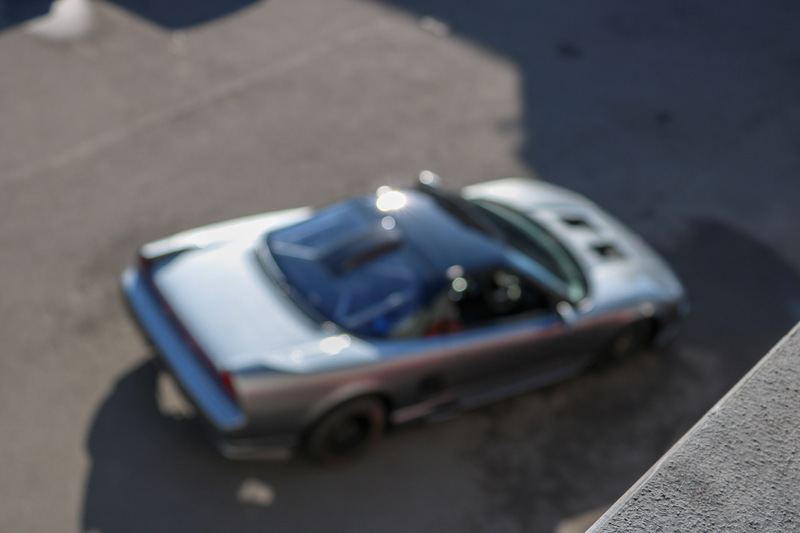 With our NSX specifically, you can see it has a distinct lack of well… anything. It’s essentially been purchased as a bare but rolling shell. This is going to serve as a fantastic platform to build on, on-top of that a lot of the components that have come with it will be replaced. 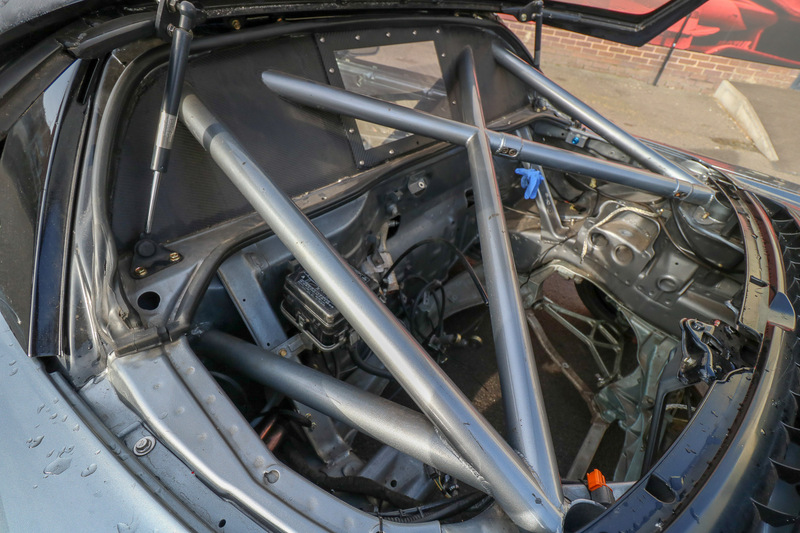 Thankfully one of the more substantial jobs, being the roll cage, has been completed by a previous fabricator. We’ve got some incredibly exciting plans for this car, which you’ll have to wait to find out. 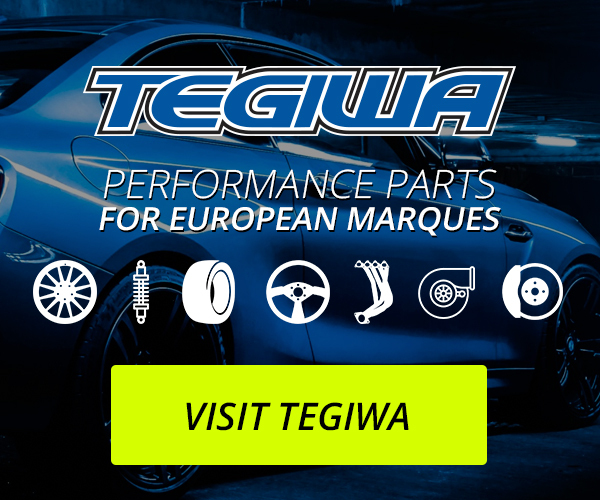 But I can say that Skunk2 and Yellow Speed Racing (of course), and as this is a Tegiwa car their will be a lot more involvement from us – K-Tuned will be playing a major part in this build. Takata and Innovative will be helping us out as well, we’re looking forward to seeing how all of this together, and much like the M4 we’ll be documenting it thoroughly! Fire suppression has already been taken care of, though that doesn’t mean its a subject we’ll just brush over. Safety elements such as so are incredibly important, making sure its at least had a once-over is needed. The aforementioned cage will also receive the same treatment, though no real work will need to be completed on it. Then there’s the matter of the engine, which is certainly a talking point even with OE C-Series that would have occupied that rather substantial space between the fuel tank and the rear axel. Lets just say this won’t be one for the purists, but you’ll have to wait and see what that is. Aesthetically yes, its has some work done and some parts removed. Stylistically it’s in limbo so-to-speak, we’re working on a livery in house but nothing to distract from the gorgeous Kaiser Silver it’s been finished in. You may be able to see that the lip isn’t factory and we’re quite keen on it (if you’re aware of its origin let us know! ), and the bonnet has been modified to allow air to run through the radiator and out again. Round the back the wing has been removed, in its past life it ran a big wing and we’re already looking for another to go on there. To compliment the soon to be sizeable wing its an intake in the rear hatch, allowing a direct feed into the bay through the poly window that covers it. 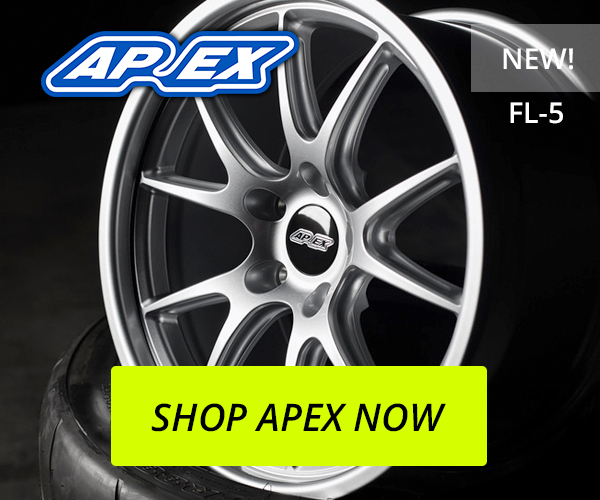 The old suspension hardware will be going, we’ve already got a set of coilovers en route from Yellow Speed Europe. To top that we’ve also got a big brake coming to sit behind the wheels, which we have chosen, and won’t tell you about just yet. That’s pretty much all of it, as I said there isn’t a lot too it just yet. Soon this little slice of JDM history will be chocked full of goodies, and will be on a track near you soon. Our deadline is April, which given the amount of work needed isn’t entirely unrealistic, and now the M4 is completed we can keep our attention on it. Finally we have to give a massive shout-out to R-Motion, without them this wouldn’t be possible! As always you can find some more photo’s down below via my own Flickr, which has a lot of Tegiwa goings on inside. © 2017 Tegiwa Imports Ltd.